THIEVES have broken into a number of vehicles across the north of Portsmouth, sparking an urgent warning to drivers. Portsmouth Neighbourhood Watch is urging people to be careful following a spree across Drayton and Farlington. Yobs have raided at least seven cars across the area in the past week, the neighbourhood watch has said, with other attempted break-ins being reported in nearby Hilsea and Copnor. The main area being targeted has been Woodfield Avenue, Farlington, with three vehicles being hit by louts. 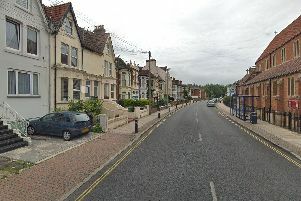 At least two vehicles were reported to have been broken into in Portsdown Avenue, Drayton, with a further two in Drayton Lane. Police are now urging drivers to take precautions to prevent their vehicles being targeted. A spokesman said: ‘There are measures you can take to reduce the likelihood of becoming a victim yourself, such as: when you leave your vehicle make sure the doors of your vehicle are locked and the windows and sunroof are shut, no matter how hot the weather is. If possible, park your vehicle in a busy area. If you have a garage, use it. ‘Do not leave anything in your vehicle, including the boot. A jacket or coat left behind may be of very little value to you, but a thief may think it has been used to hide a laptop or handbag and will break into your vehicle to find out. Van owners with expensive tools are also being urged to take action to ensure their vehicles are secured.